Château de la Grave is located in the Côtes de Bourg, on the right bank of the Gironde, opposite the AOC Margaux on the other side of the river. In addition to the impressive 14th-century château where you can also spend the night, the Bassereau family also produces fabulous wines, which are an absolute top in Bourg and the red wines have a storage potential of at least 20 years. The wines are high-class and individual, as the wine is self-confident: "We produce wines that never taste the same, but always good. We call it vintage. " The winemaking at Chateau de la Grave is done with care and know-how. No chemicals are used in the vines, pest control is made purely biological. 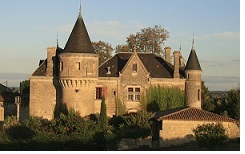 Numerous awards such as "Coup de Coeur" in the Guide Hachette or gold medals at the Concours de Bordeaux testify to the high quality of the wines from Philippe & Valérie Bassereau. 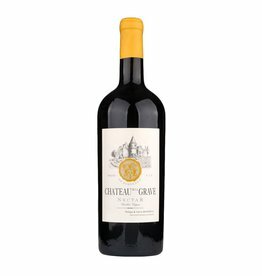 Due to the high Merlot content, the wines show a similarity with Saint-Emilion and Pomerol with motre robust tannins, but they are considerably cheaper. Our favorite of the Portfolio ist the white wine "Grains Fines", a charming wine aged in Barriques with an outstanding price-quality-ratio. Give it a try, it's worth it.